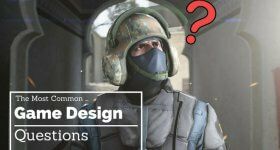 How Hard is it to Design a Video Game? We all picture game designers sitting around on bean bags bouncing ideas off each other. It’s actually difficult to get into and even more difficult to remain at the top. Designers come and go, which makes the job very transient; employers are quick to drop you if your ideas don’t remain fresh. That said, it is an incredibly rewarding career with a lot of perks. But don’t forget, I said it was difficult! Independence: You can create your own game. The market s very competitive and more people are studying game design. As you wait for your favorite game design company to start hiring again, you can be proactive and build your own game. You can affect millions of people: These days, games are not just about entertainment. They are also taking their place in educating people, such as training little children and preparing astronauts for space missions. You get paid for being creative as well as playing games all day. Fun! The hours: A game designer’s life revolves around the game and until it’s fully designed and ready for the final release, he spends almost all his hours in the studio. Communication: Inability to communicate your thoughts can be a stumbling block in anything that you attempt. Every book on game designing is written in English, or at least 90%.If you are unable to communicate and express yourself in the language, it may be even harder to design a game in the language. Education: Your education can play a big part in getting the attention of studios. Not all game design programs are equal. Some are more detailed than others because they’ll take the perspective of a novice and start the education from grassroots. Others will assume that anybody enrolling in this course is already a storyteller and proceed to more advanced levels of the course, leaving out the basics. The two scenarios produce two quite different graduates, with the same level of education. One will however be disadvantaged. Location: Where you live is also a consideration. Some states have a bigger concentration of game developing companies, such as California and Texas, than others. Move: Make that move. If design companies simply aren’t where you are, you’ll need to relocate. Engage: Be fluent in the language of game development. This means being able to at least participate in conversations about: Programming, art, and storytelling. When you really want something, you’ll do anything to get it. We recommend enrolling in a course that will enhance your understanding of the language, engage with native speakers of the language too. You may understand it well enough, but now learn how to express yourself do that others understand your ideas. Offer to work for free: In any career, landing that first position in the industry is usually the hardest. Be willing to take just about anything that you’ll be able to use on your resume later. The fact is, most employers prefer someone with some on-the-job experience, so get that experience any way you can. This is where volunteering, and internships come in. Keep learning: Do not go to school just to get your degree. Choose a program that will give you the edge over other designers. That edge is knowledge. Growing your knowledge base is the more efficient way to get ahead of your competition before you’ve been hired anywhere. If you already have a degree but lack some of the fundamental requirements in the job, go back to school and enhance that. It’s never too late to do that and at the end, the benefits will be worth the time spent. Even after you’ve graduated keep learning. Read books, blogs, and forums. Keep up to date on the latest software and tools. Try building your own games from home – learn by doing. It is very difficult to remain at the top of game design, even if you manage to secure a job. This is because most game designers come into a company with one big idea, with no plan for their career after that big idea has run its course. Keep your ideas fresh and interesting, and you’ll be sure to keep the eye of employers and co-workers. To succeed in game design you really need a five year plan – an idea of what you’ll be doing in the next five years. This keeps you on track, making sure you don’t lose sight of what you want to achieve. For most game developers, they are their own worst enemy, quickly forgetting what they wanted to do in the industry in the first place. Otherwise, there is huge pressure from employers to perform, and competition from co-workers. Game design is a competitive business. There are literally thousands of other aspiring game developers, each vying for the attention of studios across the globe. So how do you make sure you’re the one to get the job? A five year plan and interesting ideas will only get you so far – you have to also show that you can deliver. A roster of completed games will set you ahead of the competition, even if all those games were developed in your bedroom. Keep a catalogue of ideas in your head at all times – whether they be ideas on how to fix existing games, or ideas for completely new ones, you’ll never know who might ask about them (and then you’ll be one step ahead of the competition). With the advent of mobile gaming, there is a rush towards the casual market and an opening for developers who can come up with unique and addictive mechanics on the fly. This suits some just fine, but others may struggle with this type of market. In consoles and more traditional PC gaming, there is a move away from carbon-copies of existing franchises and into more new, or reinvented, IP. In related markets, gamification is becoming huge, and will affect the way we interact with our lives very shortly. 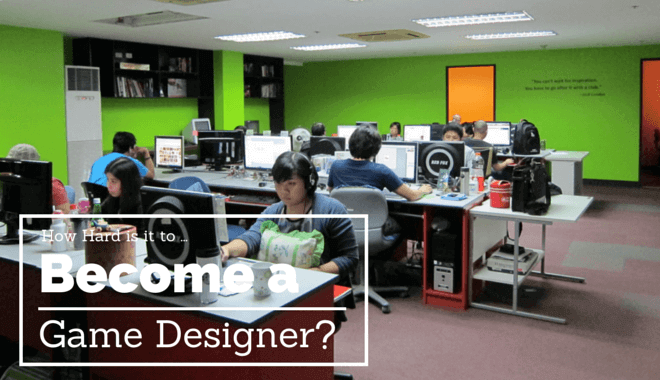 There are openings for all kinds of designers everywhere, so know yourself and your niche and you’ll find the perfect job for you. Many people wonder how quickly they can go from being a junior designer deciding what colour the walls of the level should be to a lead designer on a project of their own creation. The short answer is ‘years’. Expect to spend at least three years as a junior developer, building up a collection of completed games with your name in the credits, before moving onto a senior game designer role. Senior game designers have more of a say in what goes into a project. After five or ten years, you may be trusted enough by your company to take the lead on a project – whether that project is your idea or otherwise. Lead designers earn the top bucks, but it takes a lot of work to get there. Becoming a game designer is just as hard as getting into any other career, but with added competition and the need to be constantly fresh and relevant. However, by applying yourself and keeping your long-term goals in mind, it can be a rewarding and fulfilling career as easy to progress through as anything. Be prepared to put in the hard work, and you’ll be rewarded with a wonderful career. 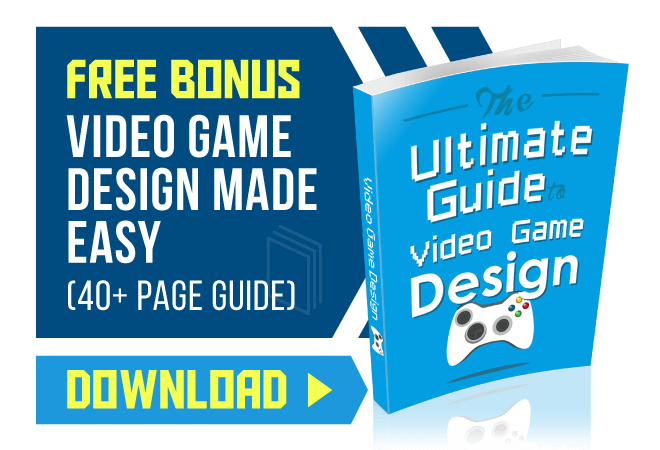 What are The Best Game Design Colleges? What are The Best Game Design Podcasts?